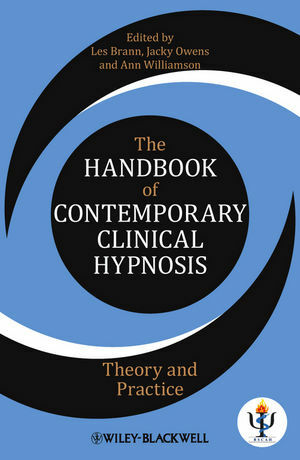 Covering theory and practice, The Handbook of Contemporary Clinical Hypnosis is an up-to-date, authoritative resource to support health professionals in their use of hypnosis in clinical settings. Les Brann is President of the British Society for Clinical and Academic Hypnosis (BSCAH), and Clinical Lead for Chelmford NHS Medical Hypnosis Unit, UK. He is the author of Just Close Your Eyes and Relax (1988). Ann Williamson has used hypnosis for more than 15 years to tackle stress and anxiety. An accredited member of BSCAH, she is the author of several books including Brief Psychological Interventions in Practice (Wiley-Blackwell, 2008). Jacky Owens is President of the Royal Society of Medicine's Section of Hypnosis and Psychosomatic Medicine. She is an independent practitioner, and runs a company providing holistic services and support for cancer sufferers.